Located in Maricopa County, Phoenix is the capital and largest city in Arizona. It's also the 13th largest metro area by population and one of the largest cities in the U.S. by land. There are a total of 15 urban villages in Phoenix, which include: Ahwatukee Foothills, Alhambra, Camelback East, Central City, Deer Valley, Desert View, Encanto, Estrella, Laveen, Maryvale, North Gateway, North Mountain, Paradise Valley, Rio Vista, and South Mountain. The urban village of Paradise Valley is different than the nearby town of Paradise Valley. Phoenix also has a variety of commonly referred-to regions and districts, including: Downtown, Midtown, West Phoenix, North Phoenix, South Phoenix, Biltmore, Arcadia, and Sunnyslope. Although the greater Phoenix area sprawls out for many miles, the city's grid system is contained within an area that goes from the Agua Fria River to Scottsdale Road, and from Bell Road to Baseline Road. The east-west streets have no logical or alphabetical system - you just have to memorize them. Cities like Glendale and Peoria adopted the names and numbers of the Phoenix grid system, with very few exceptions. Due to its natural beauty and climate, Phoenix offers a variety outdoor attractions and recreational activities. Popular destinations include: the Phoenix Zoo, Japanese Friendship Garden, Historic Heritage Square, Phoenix Mountains Park, Pueblo Grande Museum, Tovrea Castle, Camelback Mountain, Hole in the Rock, Mystery Castle, St. Mary's Basilica, Taliesin West, and the Wrigley Mansion. Phoenix is home to several professional major professional sports leagues which include: The Phoenix Suns (NBA), Phoenix Mercury (WNBA) , Arizona Diamondbacks (MLB), and the Arizona Cardinals (NFL). The Phoenix International Raceway hosts several NASCAR events each season. The city is also host to several major professional golf events, such as the LPGA's Founder's Cup and The Phoenix Open of the PGA. Click here for a directory of golf courses in the Phoenix metro area. From Shopping malls; museums and history; sports and recreation; arts, music and entertainment; dining establishments; nightlife to exploring the great outdoors - buyers of Phoenix AZ homes for sale will enjoy an unsurpassed quality of life - and never run out of interesting things to do! North/Northwest Phoenix really has no "official" separate status and usually refers to the Urban Villages of Paradise Valley (not to be confused with the town of Paradise Valley), North Mountain, Deer Valley, Desert View, and Happy Valley. Paradise Valley Mall is a major shopping center located in North/Northwest Phoenix. Kierland Commons is a major upscale master-planned shopping, residential and resort community developed in the late 1990s, which is located on the eastern edge of Phoenix - on the border with Scottsdale. The Paradise Valley Unified School District (elementary, middle, and high schools) operates over most of this area, and one of the largest school districts in Arizona. The main public post secondary institution is Paradise Valley Community College. It also hosts a branch office of Northern Arizona University (NAU). Another satellite NAU location in North Phoenix is located at Greenway Road and Interstate 17. Arizona Christian University is a private four-year institution located on Cactus Road. Many residents of North/Northwest Phoenix AZ real estate commute by car to work in central Phoenix or other Valley cities. Major east-west arterial streets include Bell Road, Union Hills Drive, Greenway Road, and Thunderbird Road. Major north-south streets that serve the area most include 7th, 19th and 35th Avenues, and 7th, 24th, and 40th Streets as well as Tatum Boulevard . Interstate 17, State Route 101 (Loop 101), and State Route 51 also serve the community. Valley Metro operates bus routes in North/Northwest phoenix. RAPID buses, (so called due to their use of freeways to link suburbs with central Phoenix), have stops near Bell Road and I-17 and Route 51 . 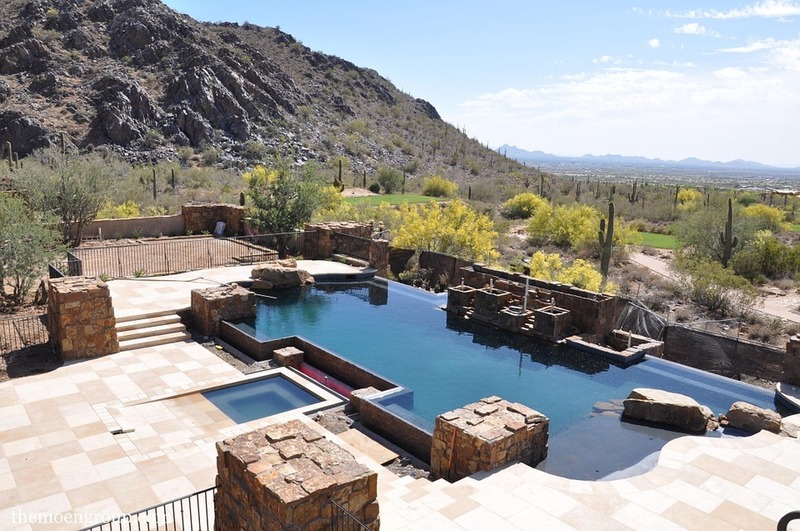 The city of Phoenix offers a vast array of housing and lifestyle options to choose from. Freeway construction over the past decade has opened up numerous areas for living, especially on the edges of the Phoenix area. While there are many neighborhoods featuring stucco homes with tile roofs in Phoenix, there are also historical houses with mature trees, homes from the post-World War II boom years, homes in desert areas, luxurious upscale homes and plenty of Phoenix AZ homes for sale with swimming pools. 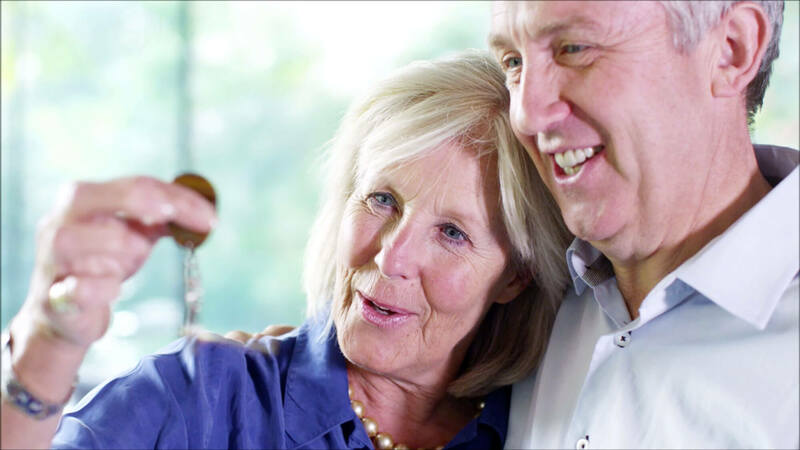 Active Adult and 55+ retirement communities have been a part of the Phoenix area for over 50 years. The first 55+ community in the country, Sun City, opened in 1960 in the northwest Valley setting the tone for similar active adult communities to come. Now there is Sun City West, a sister community near Sun City, as well as Sun Lakes near Chandler - and hundreds of 55+ communities featuring houses built around swimming pools, recreation, fitness centers and golf courses. It is my pleasure to assist you in finding the perfect home in the right neighborhood to fit your lifestyle, preferences and needs! I focus primarily on North/Northwest Phoenix AZ real estate and the surrounding area. Phoenix has a hot desert climate, typical of the Sonoran Desert with hot summers and short, mild winters. Phoenix typically gets 7 inches of rain per year with no snowfall. The number of days with any measurable precipitation is around 28. On average, buyers of Phoenix AZ homes for sale will enjoy approximately 299 sunny days per year, with July highs around 105 degrees and January lows around 35 degrees. The comfort index, which is based on humidity during the hot months, is 45 out of 100, where higher is more comfortable. The US average on the comfort index is 44/100. As 2014, the population of Phoenix is 1,462,368 with 2,830 people per square mile (population density). The median age is 32.2. 46.01% of the people are married and 12.28% are divorced. The average household size is 2.8 people. 34.58% of residents are married with children and 23.44% have children and are single. The quality of a school district is often a top factor for parents considering where to live. Strong school systems attract new residents and help their cities prosper. Public education in the Phoenix area is provided by 33 school districts. There are 21 elementary school districts, which contain over 215 elementary schools and paired with 4 high school districts, which have a total of 31 high schools serving Phoenix. Three of the high school districts (Glendale Union, Tempe Union and Tolleson Union) only partially serve Phoenix. With over 27,000 students, and spread over 220 square miles, the Phoenix Union High School District is one of the largest high school districts in the country, containing 16 schools. Arizona State University is the main institution of higher education in the Phoenix metro area, with its parent campus is in Tempe. ASU also has campuses in northwest Phoenix (ASU West Campus), downtown Phoenix, Mesa (ASU Polytechnic Campus), and Glendale (Thunderbird School of Global Management). The Maricopa County Community College District includes ten community colleges and two skills centers throughout the county, providing adult education and job training. Phoenix is home to numerous other institutions of higher learning such as: Barrow Neurological Institute, Grand Canyon University, University of Phoenix and Arizona Summit Law School. Phoenix is currently home to four Fortune 500 companies, including: electronics corporation - Avnet, mining company - Freeport-McMoRan, retailer - PetSmart, and waste hauler - Republic Services. Honeywell's Aerospace division is headquartered in Phoenix, and Intel has one of their largest sites in the area, employing approximately 12,000 employees. The city is also home to the headquarters of U-HAUL International, Best Western, and Apollo Group. Tourism is one of the top 10 in industries in the city. The unemployment rate in Phoenix is 5.40%, with future job growth over the next ten years predicted to be 38.60%. Phoenix sales tax is 8.30% and income tax is 3.36%. The income per capita is $24,110, which includes all adults and children. The median household income is $47,866. The Phoenix area has a total of 56 hospitals and medical centers. U.S. News World Report named 13 out of those 56 as the best regional hospitals - the lsit includes (by order of ranking): Mayo Clinic, Scottsdale Healthcare Shea Medical Center, St. Josephs Hospital and Medical Center, Banner Good Samaritan Medical Center, Chandler Regional Medical Center, Banner Estrella Medical Center, Banner Thunderbird Medical Center, John C. Lincoln North Mountain Hospital, Mercy Gilbert Medical Center, Banner Gateway Medical Center, Banner Desert Medical Center, Banner Heart Hospital, and Scottsdale Healthcare Osborn Medical Center. “Phoenix’s grid system makes it really easy to find your way around town. Valley Metro provides public transportation throughout the metro area, with its trains, buses, and a ride-share program. Bicycling Magazine ranked Phoenix as "the 15th most bicycle friendly city of 50 cities in the U.S. with a population greater than 100,000." The nearest major airport serving buyers of Phoenix AZ real estate is Phoenix Sky Harbor International Airport (PHX / KPHX), offering international and domestic flights - 6 miles from the center of Phoenix. Another major airport is Phoenix-Mesa Gateway Airport (AZA / KIWA), offering domestic flights from Mesa, Arizona - 34 miles from Phoenix. If you are a buyer, it is my pleasure to assist you in finding the perfect home in the right neighborhood to fit your lifestyle, preferences and needs. I primarily focus my real estate services in the following communities in Maricopa County, but not limited to: North Phoenix, Anthem, Glendale, Peoria, Sun City, Sun City West and Surprise, Arizona. If you're considering selling your current home, I utilize the latest real estate marketing tools on and offline to expose your North Phoenix AZ real estate property to the widest range of qualified buyers. My foremost goal is to market your property to sell as quickly as possible and for the best price! My extensive knowledge of the Phoenix AZ real estate market, and surrounding area, allows me to guide my clients intelligently. Whether you’re looking to buy, sell or invest, my mission is to provide exceptional customer service while assisting you throughout the transaction. I invite you to call me today or fill out the online contact form, and let me know how I can best serve your Phoenix AZ real estate needs.